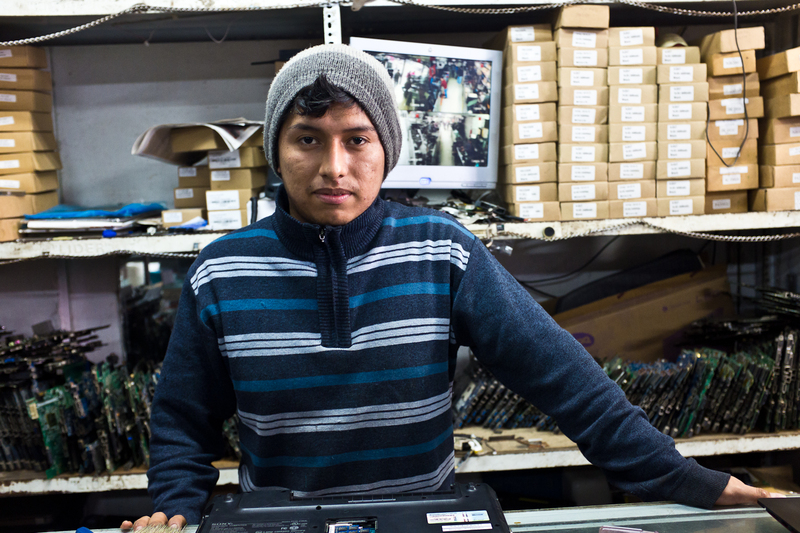 Aldair, a computer repair technician. His hours are now 9-5, 5 days a week. How did he learn to repair laptops? “I took one course. But after that, You Tube [has been] a great teacher."